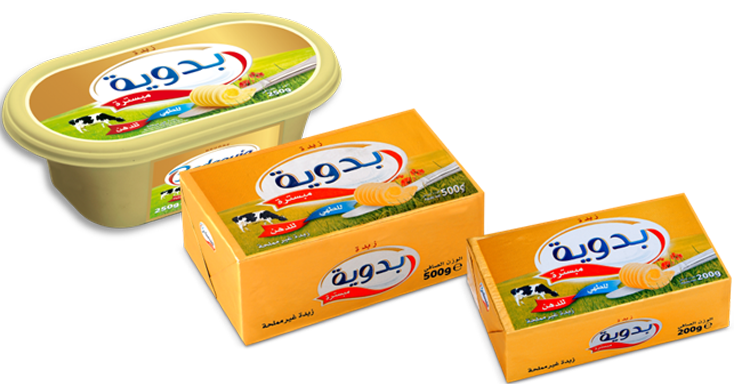 Découvrez le beurre Badaouia | Un goût d'excellence! 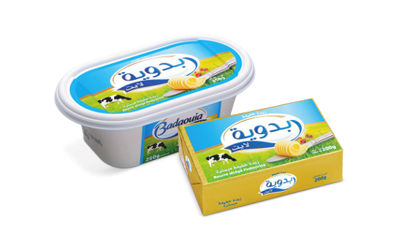 Made of milk and cream collected in selected farms, Badaouia butter offers a taste of excellence, and remains the best ally to spread, cook or make pastries, to the greatest enjoyment of the whole family ! 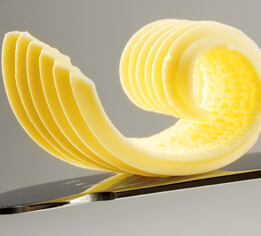 Butter, Water, Preservative E202: Potassium sorbate. Fat content 60%. Store at -18°C before distribution and at +6°C after distribution. Cow milk cream, Fatty substance not less than 82 %, non-fat solid milky substance 2 %, moisture not more than 16%.